Allahabad: Villagers of Kanjasa are a perplexed lot. Going by their newly acquired Aadhaar cards, some 1000 of them should be celebrating their birthday on the same day — January 1. It is, however, not a coincidence but a technical goof-up that has led to the situation where every fifth person in Kanjasa, about 50 kilometres from here, finds January 1 as their official date of birth. 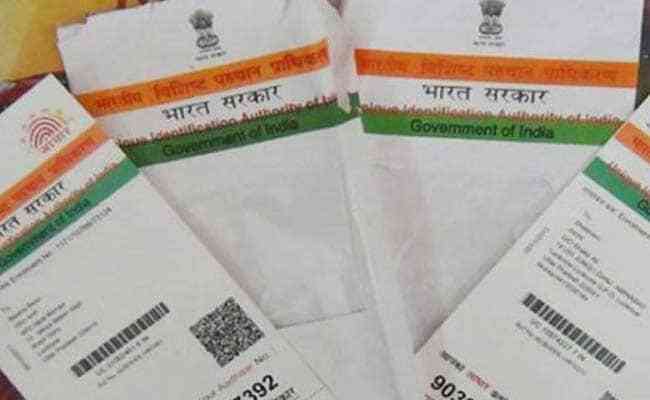 Flooded with complaints from the locals that their unique identity or Aadhaar cards did not mention the actual dates of birth, the authorities have ordered a probe and are trying to take remedial measures. “Nearly 1000 (of the 5000) residents have complained about faulty entries of their date of birth. The odd thing is that the date printed on all these cards is identical – January 1 – with variations in the years of birth,” Neeraj Dubey, Block Development Officer (BDO), Jasra, under which the village falls, told PTI. He said an inquiry had been ordered into how an error of “such a huge proportion” occurred. Dubey said there was speculation that the software for the cards was so designed, as to automatically allocate January 1 as the birth date of those not aware of their actual dates of birth. That, however, did not explain why those who had submitted their dates of birth with proper documents also ended up being shown as born on January 1, he added. “Once the inquiry is complete and accountability is fixed, suitable action will be taken against those responsible for the massive goof up,” he said. Affected villagers will be provided with fresh Aadhaar cards with correct dates of birth, he said.